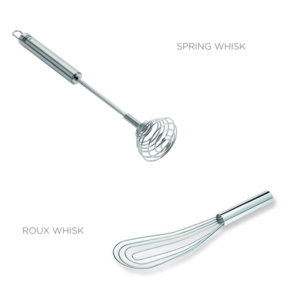 Whisks, also known as “whips,” in the kitchen trade, are all about aeration and integration. “That’s what I have a mixer for!” is probably cleverly rolling around the back of your noodle, when you think about whipping up anything, BUT, the whisk offers something that even the best on/off switch on a KitchenAid mixer can’t: Pressure, degree, and subtlety. Whips/whisks are the manual mixers. They blend! They aerate! They emulsify! 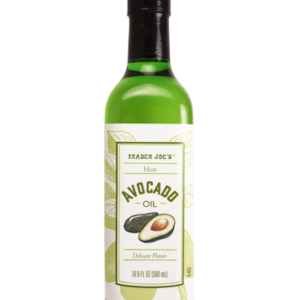 You can make mixer mayo, but aioli that is hand-whisked in small batches has a flavor that can’t be beat, and contributes a nice bump in calories burned to your Fitbit or iWatch! True, the whisk attachment in a blender is great for things like meringues and whipped creams. In a meringue, the whisk helps aerate the egg white, trap air bubbles in it, which causes it to rise. The beating also stiffens the proteins into forms that trap the air. 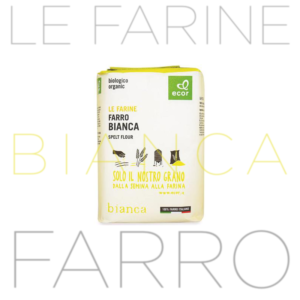 Likewise, in a whipped cream, the aeration combined with emulsification of the fats and water in the milk cause the cream to form and stand up. Add some cinnamon to an egg wash? You love the whisk for distributing it evenly throughout. Where is a whisk better than a mixer with a whisk attachment? 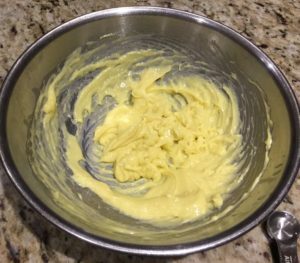 Homemade mayonnaise is to the store-bought glop what a Wagyu beef burger is to a McDonald’s cheeseburger. 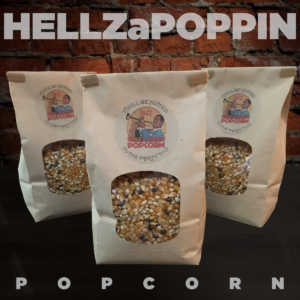 It is a fragile, wonderful, hand-crafted thing that relies on simple, fresh ingredients and blows the mind. One of the reasons that is so is because the hand-action of whisking requires delicacy and control. You paint houses with a sprayer and an air compressor. You paint masterpieces with a brush and a palette. 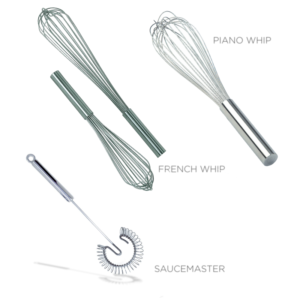 Whisks give you control, and let you express yourself creatively in ways that machines just simply cannot. You can use an immersion blender/pimer in a pot, but it works at high speed and isn’t useful for medium to slow speed applications. You can under-crank a mixer or hand mixer, but both lack the ability to delicately control both the pressure applied and the variation of speed. This may not seem like a big deal, but some of the best stuff I’ve ever made, and even had at the top restaurants in the world, come from small batch whisking. 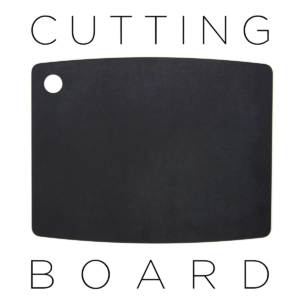 Why you should pay more at top eateries is because they treat your plate with that custom approach.You have an easier time achieving that level in your home kitchen because you don’t have 50-200 people a night to cook for. The whisk, then, should be no less important to your culinary creations than your knives as a go-to tool of personal expression. Not surprisingly, all whisks are not created equal. If you play golf, then you get it: You have clubs for distance, for chipping, and for finesse. Whisks are no different. There are different kinds that perform different tasks better. A Norpro Krona Sauce Master whisk for small jobs like salad dressings, high speed jobs like mayo, and smaller amounts of gravies. The small tight wires increase the whisk’s efficiency and reduce the amount of energy you have to expend to get the job done. A spring whisk, also called a coil whisk, galaxy whisk, and a few other cute names, is handy for doing quick spot jobs in tight spaces. The spring allows you not only to whip in a small space, but pull upward while whisking to encourage the upward motion. It provides vertical lift as well as centrifugal force. What’s that good for? If I have to knock off a small order of whipped cream, rather than dirty up bigger bowls or a mixer, I can ‘whip it good’ in a large coffee mug with one of these beauties because the upward pull helps keep the emulsification of the fats in the cream lifting. A roux whisk or gravy whisk, is flat-surfaced, which was another approach to improving contact of the whisk with the material when making sauces that’s particularly good over hot pans, hence the “roux.” There are several of these, but the beaver-tail variety, with the fatter head, work much better because they maximize surface coverage which means less elbow-grease in stirring for you. DO I NEED OTHER KINDS? 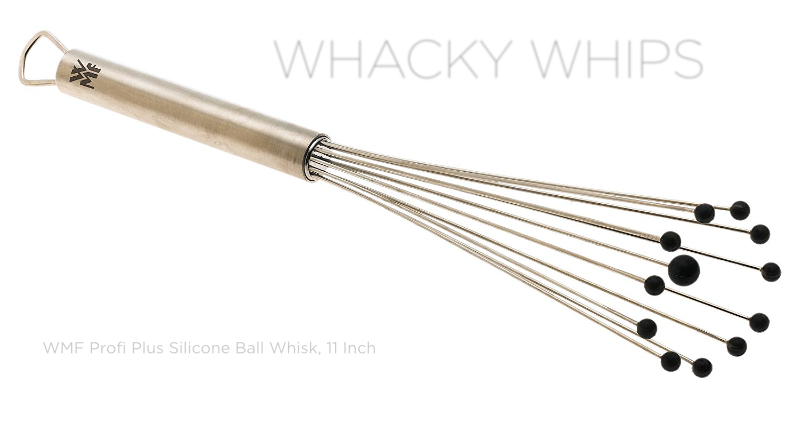 I’ve seen a LOT of whacky whisks. Tornado. Adjustable, Balloon, funky wires, and artistic cubes. Wires with little silicon dots on the ends like the WMF Profi Plus, featured above. I won’t say that they never work, and there will be the odd home chef or two that swears by them, but I’ve found that, time and again, cooking and looking are not the same. Wire loops may be simple, but if they’re made well because they capitalize on the tensile strength of the wire which maxes at the loop. Like all whip junkies, I’m susceptible to a good pitch, but something like a Profi would have to do more than a couple of things to occupy space in my already burgeoning drawers of kitchen toys. Try to avoid buying whisks that have the traditional French wax seal or any kind of rubber in the base (yellow pasty looking base inside the metal seat of the handle. They always have to be hand-washed and they are a pain. The rubber ones break down and also get bacterial build up from shrinkage of the rubber over time, cracks, repeated use. If the base isn’t fully metal, don’t buy it. Sizes – I tend to prefer the 10″ variations of most whisks. They do the job and they take up less space. Cheaper is not better. Nor is grossly expensive. Not only are the cheap plastic whips at your volume boxes a pass, but you won’t get enough pressure out of silicon coated metal whips, unless they’re bone-hard, to make them work as well as steel. 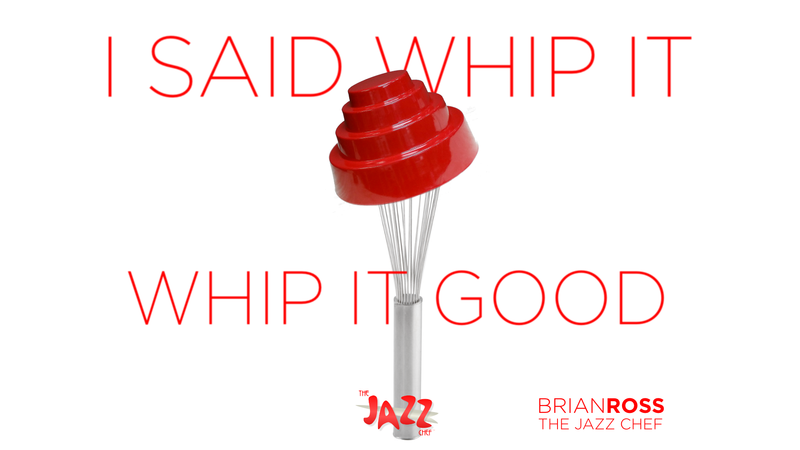 Whips aren’t sharp, so it’s not going to scuff up a metal or ceramic pan. If you are working with cheaper Teflon or other non-stick, just don’t grind down the wires on to the surface and you will be fine. You’re looking for sturdy construction. Steel, or some other very very hard surface, is a requirement to get the whisk to operate at maximum efficiency. The shaft should be of a thickness that it isn’t going to warp or bend with use over the years. It’s more cost-effective to spend a little more for a good tool than buy it over again three or four times for a cheap one. It’s fun to shop at cooking toy stores like Williams-Sonoma or Sur La Table, but for a lot of this basic stuff, the industrial/commercial whisks available at Amazon, or WebRestaurantStore, or a good area restaurant supply, you can get something built to last that might sacrifice a bit of pretty but will be a go-to for the rest of your life.